It seems like just about everyone with a computer and a love for videogames has a new hobby: poop all over the PSPgo. The only people who seem to have anything nice to say about the new handheld is Sony themselves, and Sony has now said that since the release of the PSPgo three days ago, sales of the PSP in the US have risen 300 percent. The report, via Gamasutra, also has Sony touting their PlayStation Store, as game sales on the service have gone up 200 percent. Well, that sounds all well and good for Sony, but numerous retailers have already reported low sales of the PSPgo. And three days sales is hardly enough to start bragging over. Are they comparing the sales of the three days before the launch of the system to after, and what is the ratio between PSPgo and PSP-3000 sales numbers? 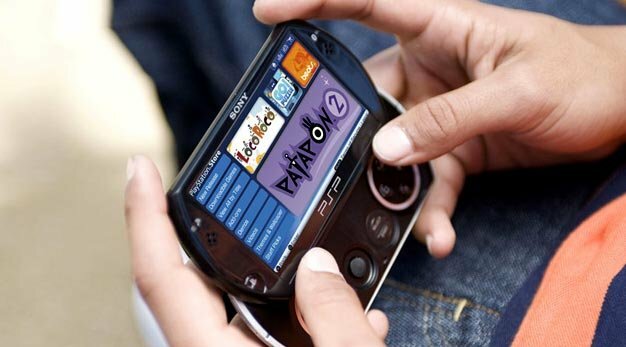 Plus the 200 percent increase in sales on the PlayStation Store could have more to do with the fact that they recently put a ton of PSP games on the service to coincide with the launch of the PSPgo with a whole lot of different sales going on from different publishers. With all the gloom and doom on the subject coming from just about everyone on the planet right now, It’s hard to believe Sony is thinking about rainbows and lollipops.